The Pound Euro (GBP/EUR) exchange rate is down today and is currently trading at €1.1223, despite news that Brexit could effectively be reversed – according to the European Court of Justice (ECJ) – with a unilateral retraction of Article 50. This rallied market confidence in the Pound (GBP) on the back of Monday’s release of November’s manufacturing PMI’s showing a larger-than-expected increase. EUR meanwhile struggled to make gains on the Pound (GBP), with some investors remaining cautious over Italy’s Prime Minister Giuseppe Conte’s statement that he was revising Rome’s draft budget today. The Euro (EUR) also found support from yesterday’s release of the Eurozone’s manufacturing PMI for November, which showed an increase and restored at least a bit of market sentiment in the single currency. The Pound (GBP) found support from today’s release of November’s UK construction PMI, which also showed a better-than-expected figure, further bolstering market confidence in Sterling. Today also saw the ECJ announce that the UK might effectively be able to ‘cancel’ Brexit without the EU’s permission – in a unilateral revocation of Article 50 – providing ammunition for a possible second referendum. This has eased Sterling investors’ concerns after last week’s gloomy economic forecasts under a possible Brexit ‘no-deal’. However, concerns still linger, as Labour threatens a ‘constitutional crisis’ if Downing Street is not forthcoming with its legal advice text over its Brexit withdrawal deal. This news was tempered by concerns, however, as investors remained hesitant to support EUR over worries that the newly revised budget may still contradict the EC’s stringent rules. The Euro (EUR) benefitted from today’s release of October’s year-on-year PPI figures, which showed an increase against September’s figure. Tomorrow, however, will see the President of the European Central Bank, Mario Draghi, deliver a speech, with investors taking note of any indication that the Eurozone economy is struggling. Also tomorrow is the release of the Eurozone’s services and composite PMI figures for November, which are expected to remain static. The Pound Euro (GBP/EUR) exchange rate will be affected by political factors in the coming week, as UK Prime Minister Theresa May rallies to convince Parliament to support her UK-EU withdrawal agreement. However, with the announcement of the option of revoking Brexit altogether by retracting Article 50, Theresa May is coming under increasing pressure as the possibility of a second referendum becomes more palatable. Friday will see the release of the UK’s Halifax house prices for November, which are expected to decrease, indicating lowering inflationary house price pressures. 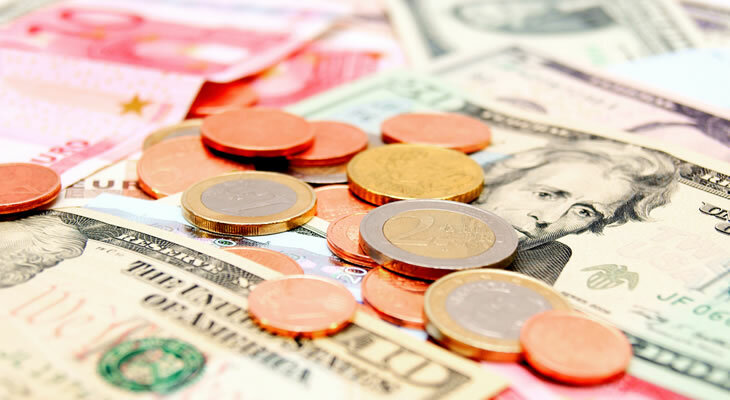 The EUR/GBP exchange rate could find some support if Friday’s release of Germany’s industrial production figures show an increase. Finally, EUR investors will be paying close attention to developments between Italy and the EC, with any signs of further budget controversy likely to weaken the single currency.